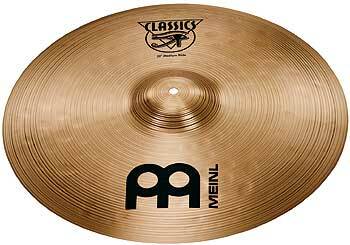 Meinl Classics Series 21" Medium Ride Cymbal - B8 bronze alloy, outstanding quality. Extremely balanced feel with a full, warm sound. Clear ping over an even shimmering wash, with a medium bell and sustain.